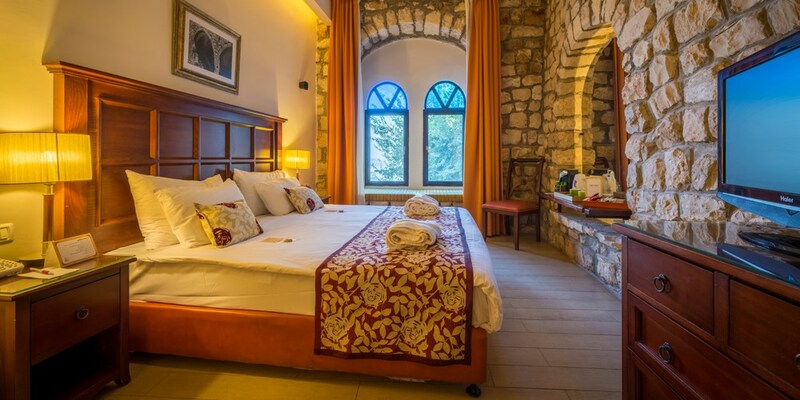 Hotel Ruth offers 77, spacious, stylishly designed rooms, some with original architectural features from the ancient Turkish Khan, and many with beautiful views of either Mount Meron, Safed’s ancient stone alleyways or gardens. 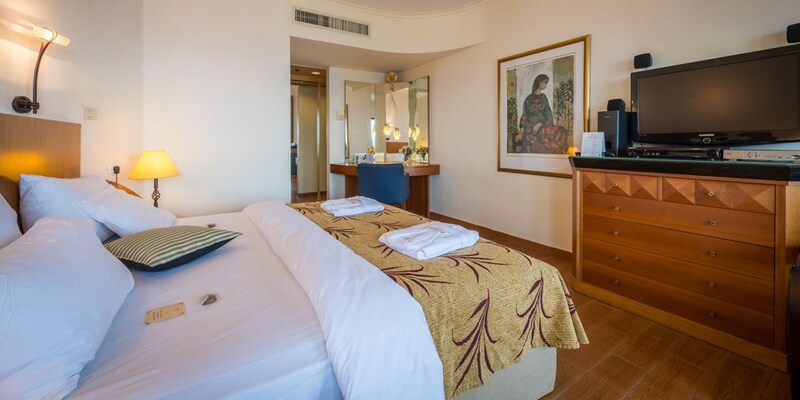 All rooms feature large windows, air-conditioning, flat-screen TVs and private bathrooms with tubs. 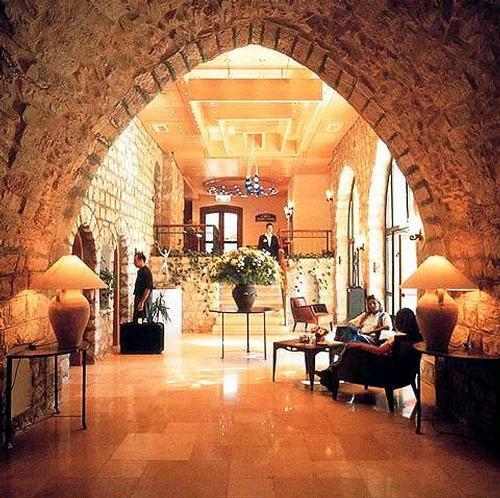 The hotel offers guests a free two-hour guided tour of the Old City of Safed . As of the booking execution date until 48 hours prior to arrival – with no cancellation fee. 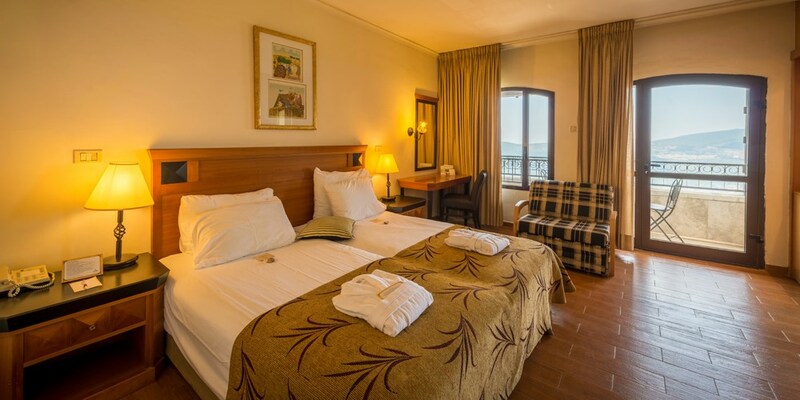 SuiteStylish suite consisting of bedroom with double bed, separate living room and balcony with stunning mount meron views. Meron suites feature bathroom complete with jacuzzi bathtub, spacious shower room and two restrooms. Room also include 2 LCD screens, DVD player, air conditioning and espresso machine. Artist Colony RoomThe rooms consist of one open space with a double or twin beds and a pull-out sofa. Bathrooms are fitted with a bathtub. Rooms face the Artist Colony allies, or the hotel garden. 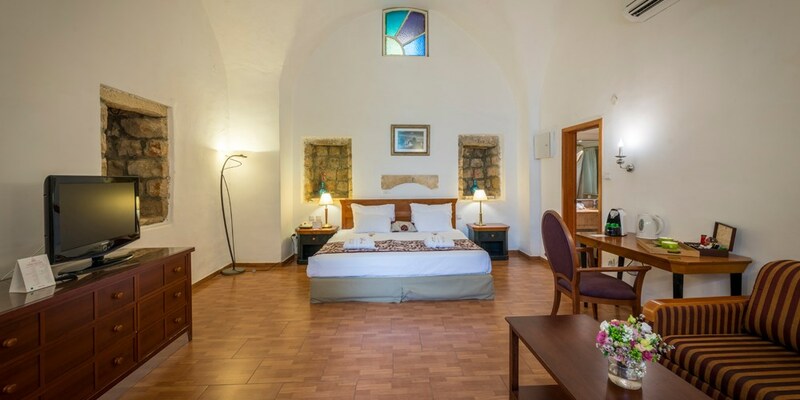 Mount MeronRooms with view of Meron Mountains, have contemporary furnishing and include the following amenities:- air-condition, mini-bar, direct dial telephone, cable TV, full bathroom with hairdryer. 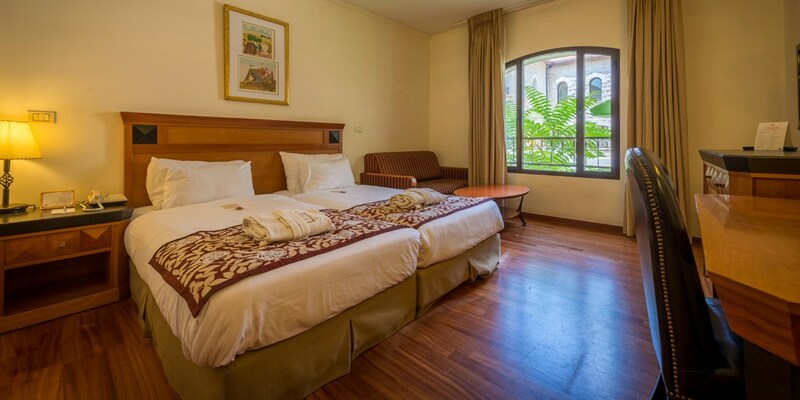 The standard room is suitable for 2 adults and 2 children (no partition).